TROUSERS for ALL OUTDOOR ACTIVITIES. Camping, Hunting, Fishing, Survival, Rescue, Mountaineering, Hiking. 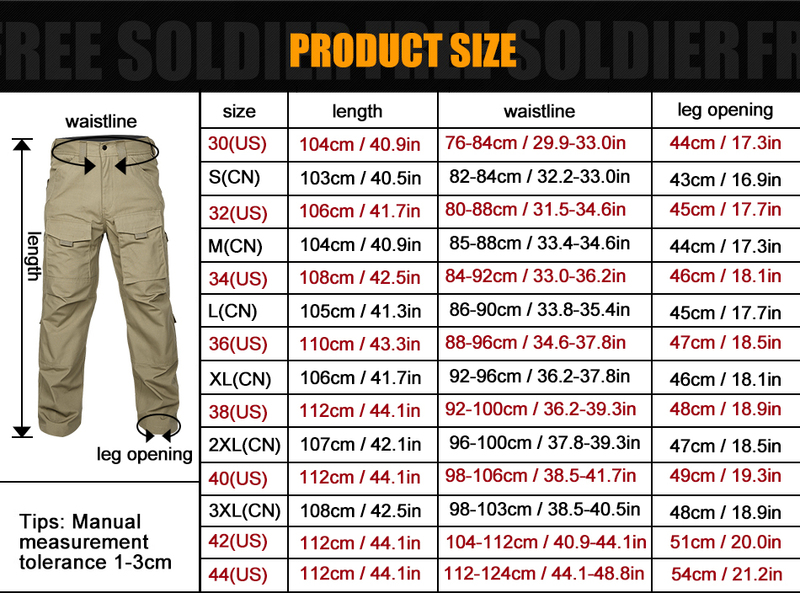 4 Seasons; MULTI-POCKET, YKK Zippers, WATERPROOF, High quality construction. FREE SHIPPING for this product: Allow 2 - 3 weeks for Delivery.